How long does it take for a potential traveller to plan their next holiday? Marketers have long assumed that the planning process takes place over the course of several days, weeks, or even months. Brian Solis, a Principal Analyst at Altimeter and a speaker at Forum 2016 in New York City, has challenged this notion in a recent Tnooz opinion piece. Solis implores the travel industry to focus on winning “micro-moments”; the instant moments in which people use a connected device to fill an immediate need. If you own one of the 8.6 billion mobile devices in the world, you probably participate in these micro-moments every day. Our decisions about dining, retail and even dating (see Tinder) are often made in the seconds shared between ourselves and our mobile screen. So how can the travel industry participate and win in this flash-decision culture? For destinations, this means making sure people can easily find answers to their specific needs. Your destination marketing organization (DMO) needs to deliver quality information and optimized content on mobile devices. For example, this might mean showing up first in Google mobile searches with a short but helpful blog for a potential drive market visitor who is trying to find out where they can do a specific activity. Or this can mean setting up listening operations using Twitter and immediately responding on behalf of your DMO to potential visitors who need answers and travel advice. 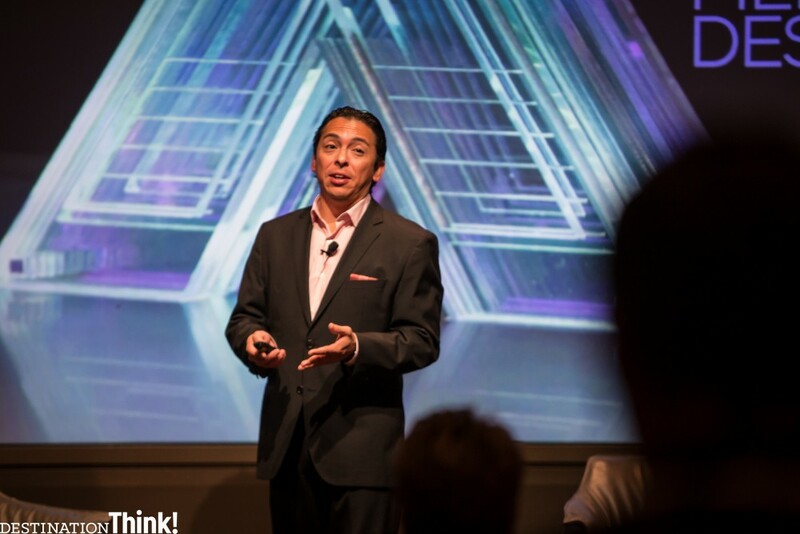 Brian Solis, Futurist and Principal Analyst at Altimeter, delivered a keynote presentation at Destination Think! Forum 2016. In the end, winning micro-moments is important. It should help your destination gain and retain visitors in the ultra-fast consumer world of 2017. But it’s equally important that your destination doesn’t begin losing potential travellers in these increasingly crucial micro-moments. According to Think With Google, 46% of travelers who do mobile travel research say they made their final booking decision on mobile. This demonstrates the importance of both positioning your destination perfectly where potential travellers go to make decisions, and of engaging with them in a meaningful and impactful way. How does your destination look at first impression on mobile devices? How does your destination engage potential travellers on Twitter who are in the planning phase of travel? DMOs that ask questions like these are a step ahead of the competition when it comes to competing to win micro-moments. Where can your destination start finding success in micro-moments? Ask your team this question at your next staff meeting: What if you had to book a holiday in the next ten minutes? How would you make that decision, who would you ask about it and where would you go to do it? That’s where your DMO should be trying its hardest to win the micro-moments.